No matter how cold it is outside, stay warm and cozy indoors with top-rated heating products. Once the weather warms up, keep cool and comfortable with home cooling systems. Shop Ace to find a variety of top-rated home heating and cooling products that can keep your house at the perfect temperature year-round. To make the most of your current heating and cooling system, install a programmable thermostat. Our assortment of thermostats from featured brands help you stay in control of the temperature inside around the clock and may even help reduce your utility bills. Look for options with Wi-Fi capabilities for even more flexibility and control. For a more portable solution, shop our small space heater systems, fans and window AC units. Some air conditioner models are suitable for both outdoor and indoor use, helping you stay comfortable wherever you work, play and sleep. Use humidifiers, dehumidifiers and air purifiers year-round to help improve the comfort and air quality inside your home. For a cozy addition in cooler months, shop our top-rated electric fireplaces and wood, coal and pellet stoves. These beautiful heating devices instantly add warmth and style to any room. Once you find your favorite model, complete your set with chimney and stove pipe accessories, spark guards, tool sets and more. 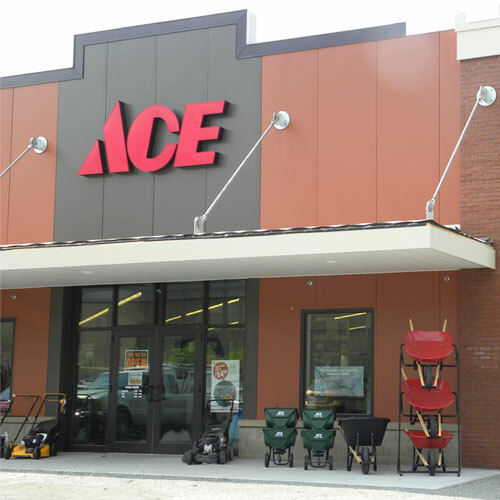 At Ace, we have everything you need to make your home more comfortable. Head to your local Ace for expert tips and advice, plus innovative ideas on how you can warm up and cool down your own space with ease.